Watch out giants! 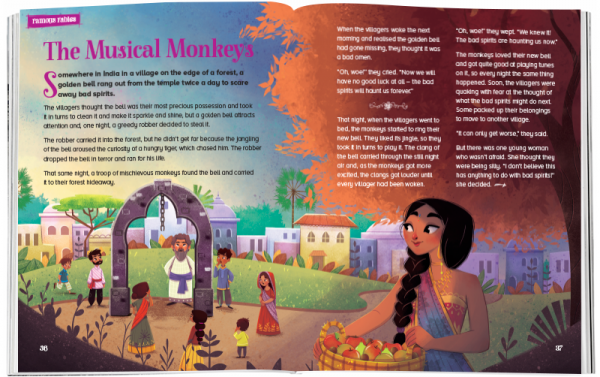 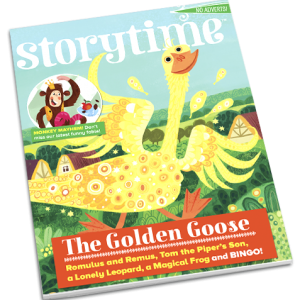 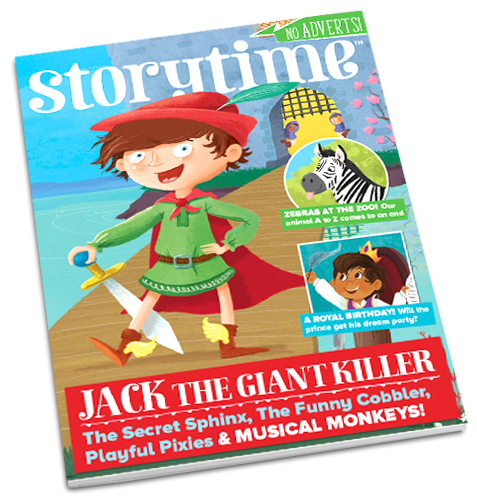 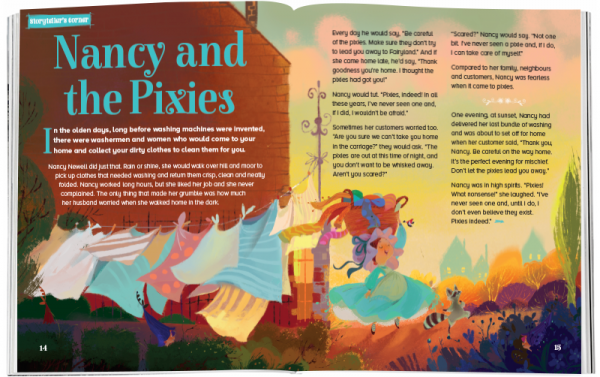 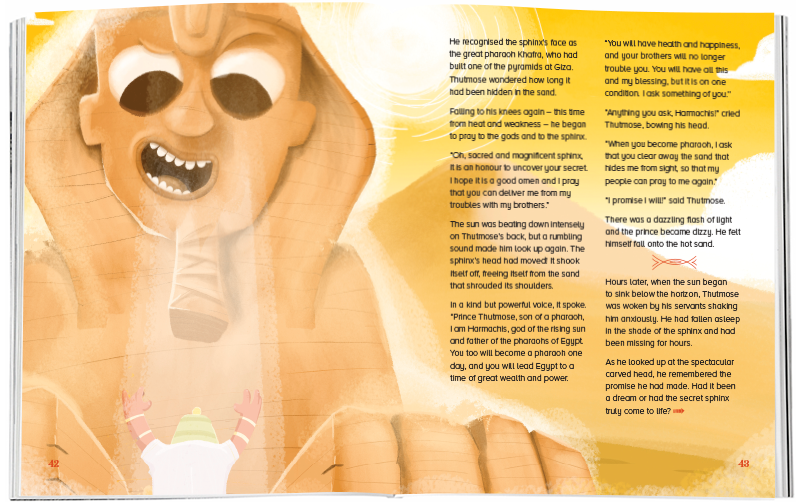 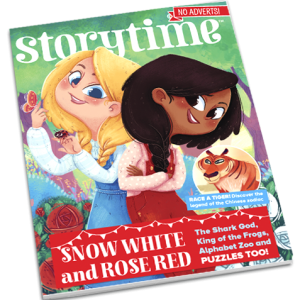 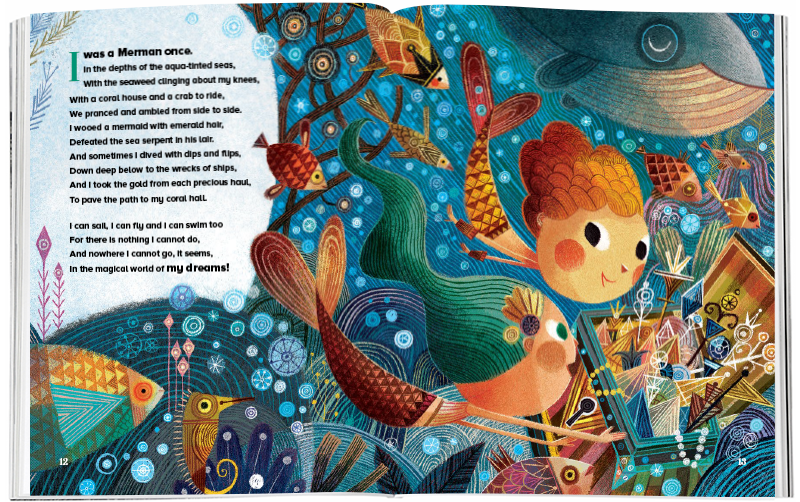 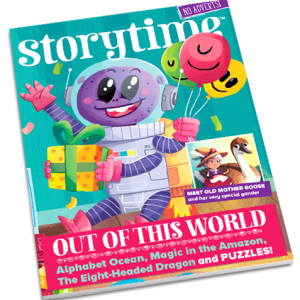 Jack the Giant Killer stars in Storytime Issue 45, along with playful pixies, mischievous monkeys and a cantankerous cobbler. 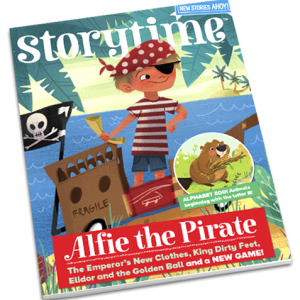 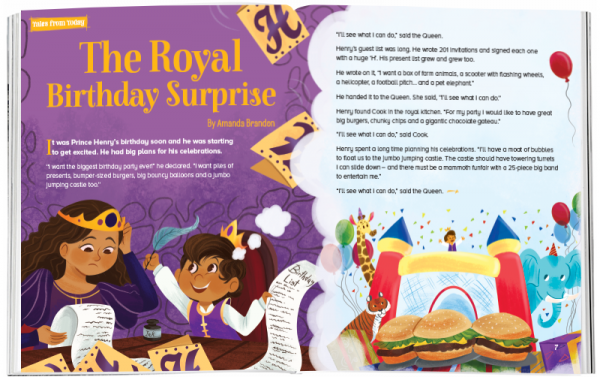 Plus we’re celebrating a royal birthday, dreaming of mermen and pirates, and digging up a secret in the Egyptian desert! 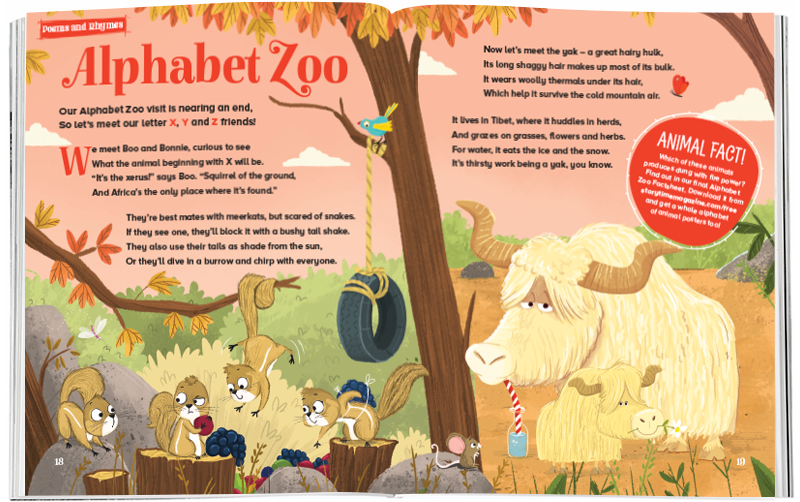 It’s also our last ever Alphabet Zoo.